Nov. 5 (NBD) – Chinese League of Legends (LOL) club Invictus Gaming won the 2018 League of Legends World Championship on Saturday by taking a clean 3-0 sweep over its counterpart Fnatic. It is noticeable that Invictus Gaming is the first LPL club to win the world championship in 8 years. LPL, LOL Pro League, often refers to LOL competition in mainland China. The unprecedented triumph attracted much public attention to the e-sports industry. The industry has gained great momentum in recent years. According to Gamma Data, the market of e-sports sector reached 77 billion yuan (11.2 billion U.S. dollars) in 2017 and is expected to exceed 88 billion yuan (12.8 billion U.S. dollars) this year. In addition to participating in game competitions, stakeholders in the industry began to explore other ways to make profits. For example, domestic e-sports clubs such as RNG, LGD, and OMG launched feature professional leagues in Beijing, Hangzhou, and Chengdu, so as to create new opportunities for interactions between brands and customers as well as for offline derivative transactions. In industry insiders' view, the formation of such e-sports eco-system is closely related to highly-frequent interactions between e-sports itself and game players and audiences. As an amateur player of Multiplayer Online Battle Arena (MOBA) games told NBD, MOBA games naturally enjoy an advantage in player base and are more likely to generate added value for investors in the sector. According to the China Internet Network Information Center, as of the end of 2017, there were 442 million game players in China, accounting for 57.2 percent of China's netizens. 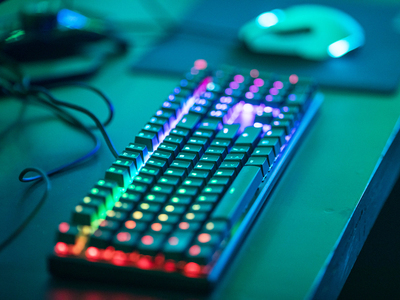 Against such background, the e-sports industry is attracting more and more capital inflows. Statistics from Cyanhill Capital shows in the past year and a half, the e-sports domain saw 36 financing rounds with the investments totaling around 8 billion yuan (1.2 billion U.S. dollars). In January this year, real-estate giant Greenland's financial arm announced the plan to make a strategic investment of 60 million yuan (8.7 million U.S. dollars) into e-sports scenario operator Amazing Center and obtain a 50 percent stakes in the latter. Data provider Wind reveals there are now 15 stocks related to e-sports in the A-share market. Although most of the companies come from the social media sector, yet players in other domains are also eyeing a slice of the cake. While enterprises became increasingly enthusiastic about e-sports, Chinese authorities have also seen the opportunities. After the National Development and Reform Commission voiced its support for e-sports events and the Ministry of Education included the e-sports major into the higher education system, local governments also initiated corresponding infrastructure. A source with government-led fund told NBD e-sports boasts huge potentials in the cultural and creative industry and will create game-related investment opportunities. With promising prospects, the e-sports industry will draw greater venture capital inflows in the future, the source added.